Although brides and grooms plan their big day just once, those of us who have spent some time in the wedding industry have tasted more cakes, sniffed more bouquets, and photographed more crazy dancing than we care to remember. But this is good for you and it’s good for us too. This gives us a certain perspective. We can tell you that a midnight round of vodka and Red Bull shots may not be the best plan at your reception. Or that hand-making each and every one of those 450 special party favors may not be worth the damage to your eyesight and relationships with those you roped into helping you. 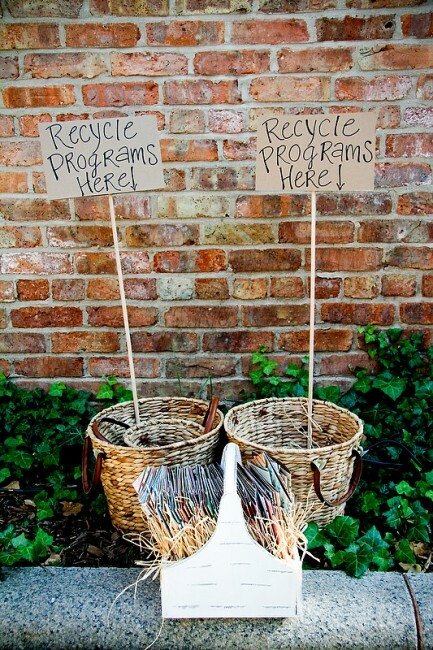 And, because we’ve been around a while, we know more useful stuff! Such as what venues are up and coming in our area, what’s hot this season, and what you can do to choose the very best professionals, which will help make your day as smooth and fun as possible. 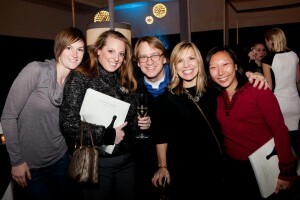 In addition to imparting our wisdom (because who can’t get enough of that? ), we at Ocken Photography want to talk about what it takes to be a professional wedding photographer, why it’s important to hire someone who’s an industry pro, and what does experience have to do with it anyway. We’ll be chatting with some of our favorite people to work with and telling you what they have to say. 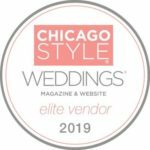 We’ll be sharing different perspectives, as well as our own, in a series of blog posts over the summer and fall, so plan to check back regularly for the latest in wedding trends and insights for all aspects of your blessed event. 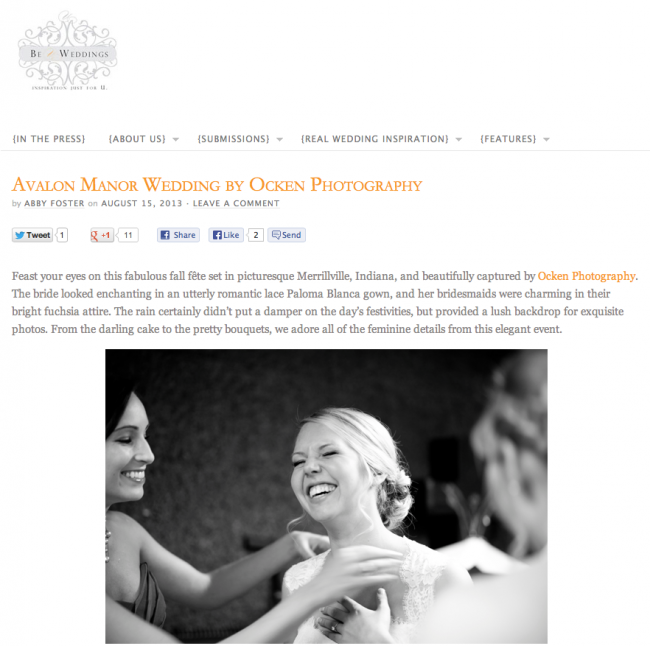 We are very excite to have another post in Be U Weddings! We love this blog and have been working closely with them this year on their WONDERFUL bridal guide. We are so excited to show you what we have been doing. So stay tuned! We will show you as SOON as we can. 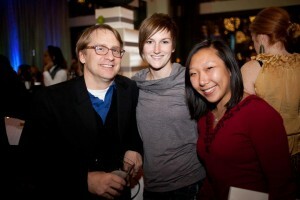 In the meantime check out Erin and Jay fabulous fall fete over on Be U’s blog. 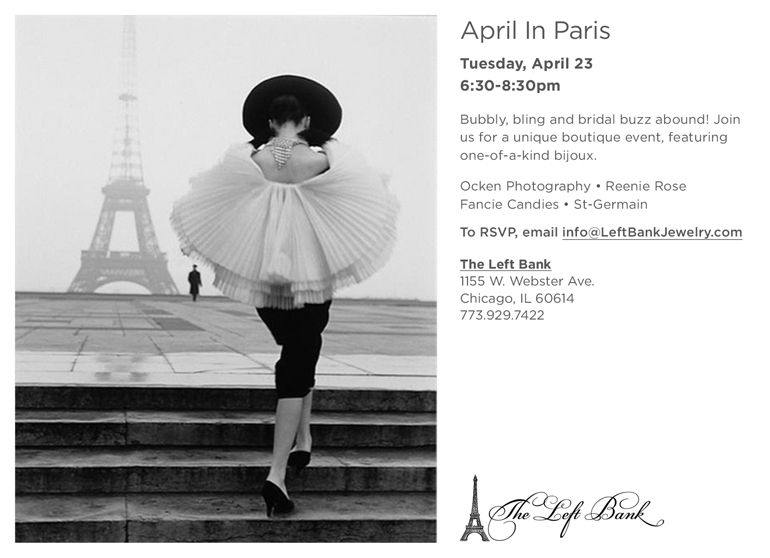 Ocken Photography helps to fight cancer. 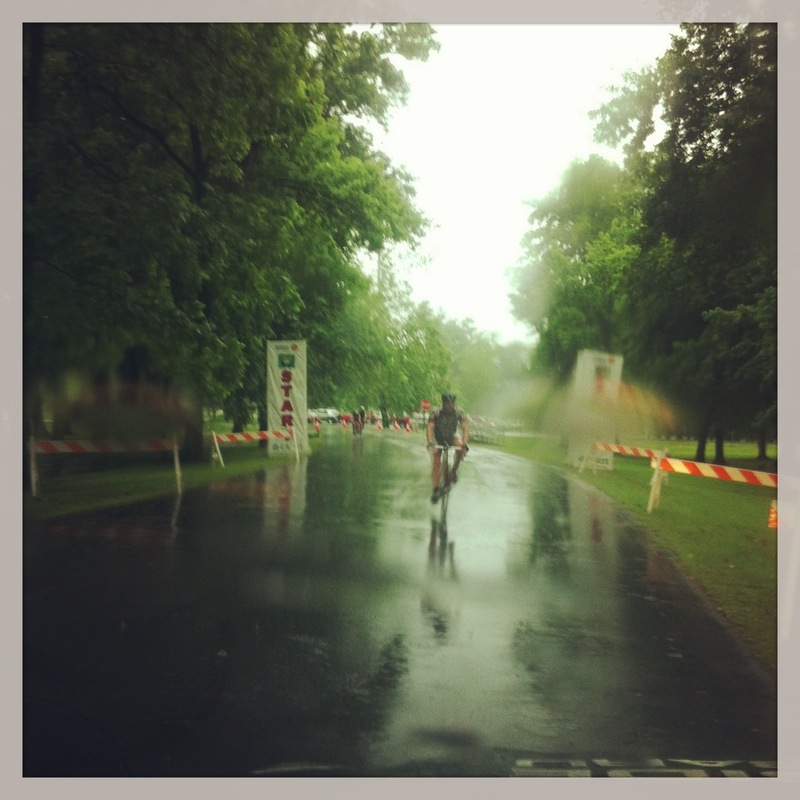 It was dry when the CARTI Tour de Rock began its annual fund raiser to help fund cancer treatment in Arkansas. By mile 50 there was a flash flood warning for the state. We know you already think that we are the best, but we need to prove it to the Knot. Please help us become one of the Knots best in business by clicking here and give us a quick review, you will be registered for a free give and many thanks from us. 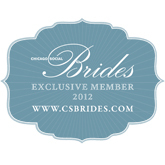 It’s difficult to believe that I have been working with CS Brides for 5 years already, which means I have been working in Chicago for 11 years now! 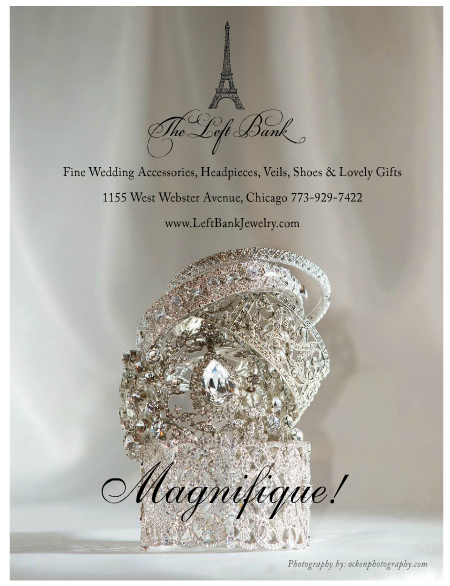 Congratulations to Chicago Social Brides on a beautiful 5th anniversary edition and a great launch party. We all look forward to another 5! 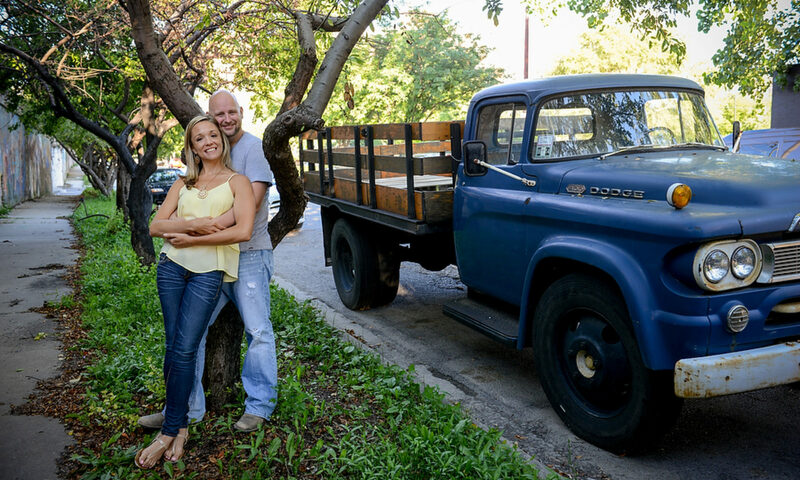 Ocken Photography Chicago is proud to announce a new partnership with one of our favorite co-workers in the wedding industry, John Severson of Smiling Toad Productions. Now when you hire Ocken Photography and Smiling Toad for full visual coverage of your wedding or other special event, you’ll get a discount from both service providers. Sweet! We asked John to talk a little about what’s happening in the world of wedding videos, so here he is with an introduction what will make brides much smarter when shopping for services. *Choose a videographer who has a DSLR camera, but not only DSLR cameras. “DSLR (digital single lens reflex) cameras are the future of wedding videography without a doubt,” Severson says. These cameras look like still cameras, rather than traditional video cameras, “which allows for more casual coverage of guests interacting, getting ready, or taking pictures of each other without immediately telegraphing to the subject that he or she is being captured on video.” These cameras also work better in low-light situations (which at least some portion of every wedding day seems to be), and their interchangeable lenses allow the videographer to zoom in on the action without being an inch away from your face. However, DSLR video cameras are relatively new, so they have some limitations. You can only record for 12 consecutive minutes, and their microphones aren’t great, Severson notes. So you don’t want a videographer who has ONLY this sort of equipment. It will be another year or so before DSLR has advanced enough to carry an event on its own. He also suggests at least two videographers with two cameras for as much of the rest of the day as possible. “This doesn’t mean that both shooters will be filming all events constantly, but by having this option, it will allow the shooters to allocate their resources to the appropriate event or venue.” You’re giving a heart-felt toast up front, but your husband’s fraternity brothers are making a human pyramid at the back. Don’t want to miss that!